The link and instructions to logon to tonight’s webcast teachings with Lama Gyalsten Rinpoche should be in your email now. We have added a password to join the webcast and included a pdf attachment of the Prayers before Teachings which includes the Dedication of Merit aka Sonam Di Yid (pg 8) This is the prayer we recite at the end of the webcast before we sign off. We look forward to seeing you all tonight. webcast to trouble shoot sign on problems. 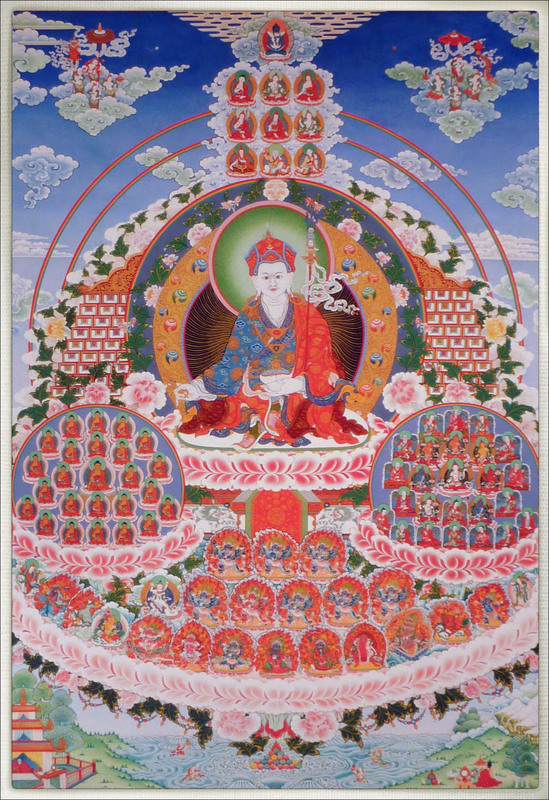 JULY 11 ~ Guru Rinpoche’s Birthday, Dance of the Eight Manifestations and Sacred Dances. Donate to Web Ngondro ! Your donation supports this website, the Ngondro Scholarship Program, and offerings to the Lamas.